As a committed fan of craft beers, I was a bit unsure about what I would drink while visiting Spain. Sure, I knew about the country’s fabulous wine varietals like Rioja and Cava (and I was not averse to enjoying a glass or two). But I was certain that I would have to curb my desire for a smoky stout or peppy pale ale. Exploring this vibrant city can certainly work up a thirst and, luckily, there are plenty of suds to sample. After spending most of a day gaping at Gaudi, marveling at his rich and varied architecture, I was parched. For my first taste of a Barcelona brew, I made my way to Ale & Hop, a hip and happening craft beer bar just a few blocks south of the Arc de Triomf. The taps varied, featuring a sample of local beers intermixed with international options. I’m a particular fan of Cervesa del Montseny, which brews a range of barrel-aged beers called “Mala Vida.” Don’t let the name, which translates to “bad life,” fool you: it’s only bad if you drink too many! Established in 2007, Montseny is one of the older craft breweries in Barcelona. 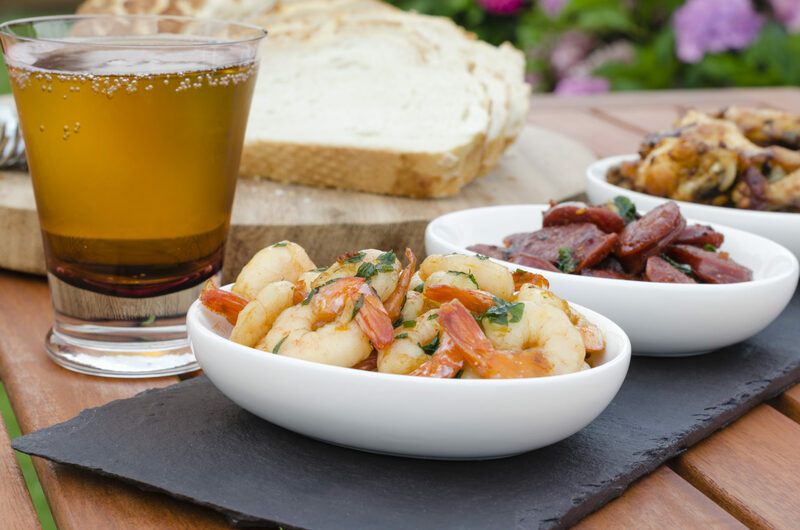 If the timing works, take a tour of the microbrewery at Sant Miquel de Balenyà — it includes not only an explanation of the brewing process, but samples of several beers and, this being Spain, delicious tapas, too. While other Spanish cities hopped on the hop-wagon a bit earlier, Madrid is making up for lost time. Many new breweries have opened in the past few years, so sampling them all wasn’t feasible for me or my liver. Instead, I headed to the Malasaña area for a few cañas, which is local slang for a half-pint. This edgy neighborhood seems to have a craft beer bar on every corner, so there were plenty of cervecería options. I chose Taproom, which delivered more than 20 rotating taps. 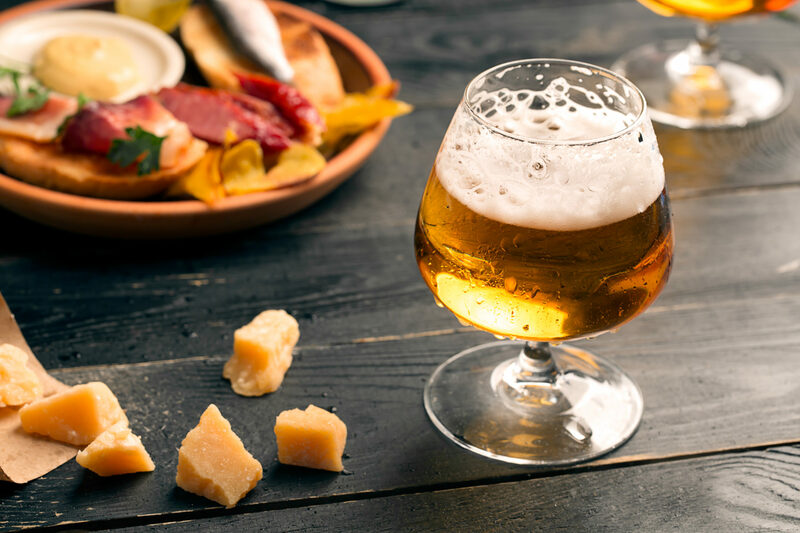 From small-batch Spanish beer to international options, there’s something for even the pickiest palate. I found the Tyris Original, a riba-roja from Valencia, to be perfectly refreshing with satisfyingly complex finish. 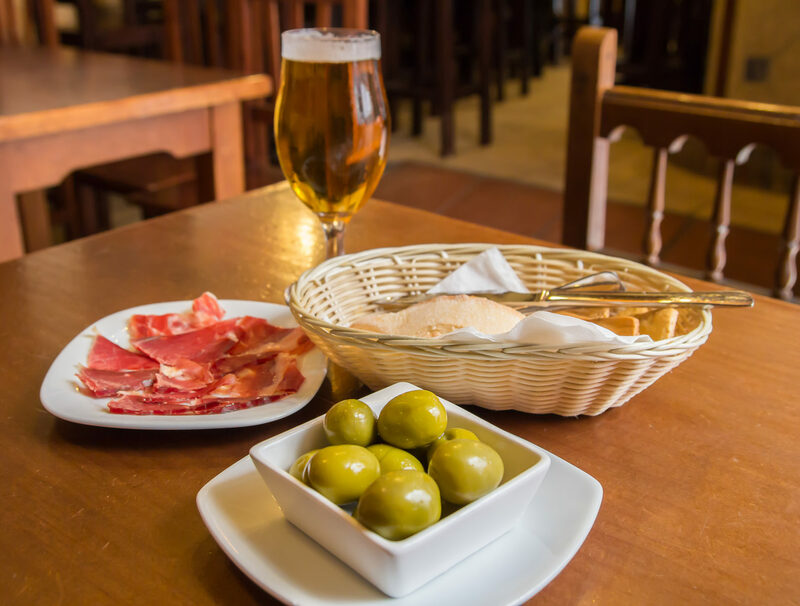 Many of Madrid’s breweries take inspiration from local ingredients and flavors. Keep an eye out for beers like La Virgen’s “De Castañas,” which is fermented with hand-peeled roasted chestnuts. Or try one of my favorites, La Socarrada, a beer infused with local wild rosemary. A lovely city on the Spanish coast, Malaga combines a historical city center with a thoroughly modern, vibrant vibe. While we were there, my friend and I hiked to Castillo de Gibralfaro for breathtaking vistas of the city and, on the way down, discussed our next stop. The way up was steep and, after plenty of sightseeing (and selfie-taking), we were parched. Time to sample some local brews! We ended up making our way to La Madriguera, a craft beer bar with an amazing selection of local and international beers. The “Back to School” beer from Malaqa, a nearby brewery, tasted of the freedom of summer days before the requisite return of responsibility. It was the perfect way to end the day, and my beer tour across Spain. Not sure about what you’re ordering? 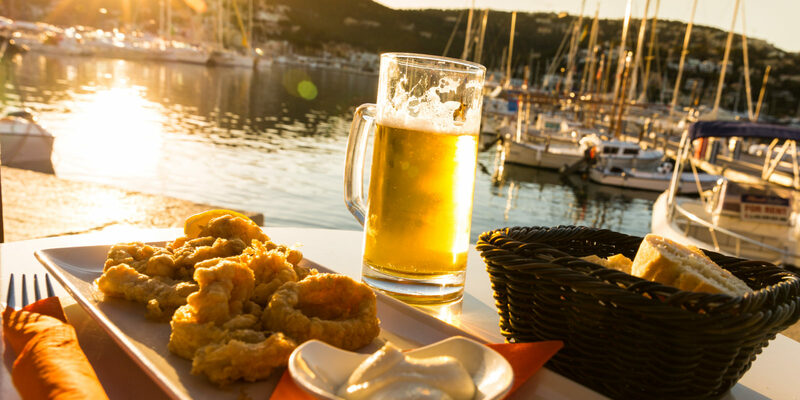 Most Spanish beer is described by its color: “Negra” will be a dark beer; “Rubia” is a blonde ale; “Tostada” is a brown ale and “Rioja” is always a red ale. Discover the Spain culinary tours available through the Marriott Vacation Club Explorer Collection. Katie C. is a travel journalist living in Denver, Colorado.